Lease for $139/mo. for 24 mos. Lease for $179/mo. for 24 mos. Lease for $385/mo. for 24 mos. Lease for $169/mo. for 24 mos. 0% APR for 60 mos. Copyright Â© 2015, All rights reserved. â€¡Estimated Trade-in Value is based on current market condition Black Book values of same year-make-model vehicle with the highest trim level in Average condition with standard equipment and an estimated 12,000 miles per year. Offer limited to one trade-in per purchase. This offer is not valid with any other advertised offer. Trade-ins with negative equity may require additional fees. Value may be affected if your vehicle has been in an accident. Only a visual inspection will determine its actual value. All offers subject to change per TMS. Security Deposit is waived for all lease payments. All lease offers expire 9/8/15. All payments and prices plus tax, title, license and $499 dealer doc fee. All offers with approved credit. Â±Customer Cash provided by TMS. Sale prices include all factory rebates and incentives except for College Grad and Military Rebates which are not included. See participating dealer for details on any offer. Offers end 9/8/15. Subject to availability. All TMS Pricing effective through 9/8/15 and is subject to change. *Low APR financing available to qualified buyers with approved credit on select models. Financing on approved credit from TFS. Bonus Cash from Toyota Financial Services is on qualified TFS lease and finance contracts only. Must be applied to the transaction. No cash payment will be made to consumer, cannot be combined with other offers. $3,482 average savings reflects interest savings based on an average 3.70% finance rate offered by TFS to qualified customers in the Denver Region. Does not apply to other offers. Offers may vary by region. 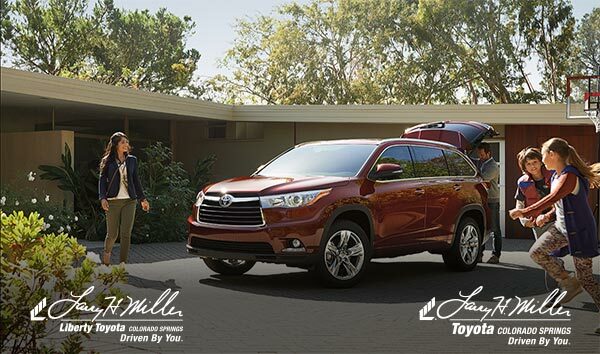 Up to 0% APR for 60 months available on selected, in-stock models - the new 2015 Corolla 0% for 60 months with $16.67 per $1,000 borrowed at $139 per month for 24 months, the new 2015 Rav4 LE 4WD 0% for 60 months with $16.67 per $1,000 borrowed at $169 per month for 24 months, the new 2015 Prius two liftback 0% for 60 months with $16.67 per $1,000 borrowed at $179 per month for 24 months PLUS $500 Bonus Cash, the new 2015 Tundra Crewmax 0.9% for 60 months with $14.29 per $1,000 borrowed at $369 per month for 24 months and the new 2015 Camry(gas) 0% for 60 months with $16.67 per $1,000 borrowed at $179 per month for 24 months PLUS $500 Bonus Cash on approved credit from TFS. See dealer for complete details. **Bonus Cash from TFS on qualified finance contracts only. Must be applied to transaction. No cash payment will be made to customer. 1) New 2015 Toyota Corolla, 4dr, Sedan LE 4-Cylinder, Model #1852. MSRP $19,615, 0% for 60 months or Lease for $139 per month for 24 months with $2,638 due at signing. Due at signing costs include first monthâ€™s payments of $139 and $2,499 down payment. Capitalized amount $19,169, Residual $13,338. 2) New 2015 Toyota Rav4 LE 4WD 4dr SUV, Model#4430. MSRP $26,340, 0% for 60 months or Lease for $169 per month for 24 months with $2,188 due at signing. Due at signing costs include first monthâ€™s payment of $169 and $1,999 down payment. Capitalized amount $26,096, Residual $18,965. 3) New 2015 Toyota Camry 4dr Sedan LE Gas, Model 2532. MSRP $24,020, 0% for 60 months or Lease for $179 per month for 24 months with $1,678 due at signing. Due at signing costs include first monthâ€™s payment of $179 and $1,499 down payment. Capitalized amount $23,120, Residual $16,334. 4) New 2015 Toyota Prius Two Liftback, Model #1223. MSRP $25,250, 0% for 60 months or Lease for $179 per month for 24 months with $2,678 due at signing. Due at signing costs include first monthâ€™s payment $179 and $2,499 down payment. Capitalized amount $24,954, Residual $17,170. 5) New 2015 Toyota 4Runner SR5, Model #8664. MSRP $36,100, Lease for $385 per month for 24 months with $3,718 due at signing. Due at signing costs include first monthâ€™s payment of $319 and $3,399 down payment. Capitalized amount $34,503, Residual $25,631. 6) New 2015 Sienna LE Van, Model #5338A. MSRP $32,859. 0.9% for 60 months with $17.05 per $1000 borrowed at $431 per month for 72 mos. $750 Customer Cash. â€ Hwy MPG estimates based on base models. Source: www.fueleconomy.gov. Pictures are for illustration purposes only.